Chevrolet is a multinational corporation founded by Sir Louis Chevrolet in the year 1911. It emerged as a leading name among car manufacturing companies after General Motors acquired and developed it in the year 1918. Chevrolet India had to retreat in 1952-1953 following the Indian national policy. Years later, in 2003 Chevrolet India sprang back with much vigour and is now creating ripples in the Indian Auto scene. All vehicles ranging from sub compact cars to medium duty commercial trucks are produced by this company. Named Chevrolet Sales India Private Limited, General Motors unit’s Indian arm chose Haloi in Gujarat and Talegaon in Maharashtra as the venues for their factories. 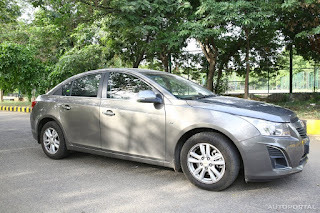 The first Chevrolet cars in India to hit the Indian roads were the SUV, the Forester, and the sedan, the Optra. Both these were in 2003 and saw limited sales, especially for the SUV. Their first big success was their MPV, the 2004 launch of Tavera, which turned out to be a steady, stable vehicle and used widely as a taxi and also by organisations like the police. This was followed by the well styled but less effective Optra SRV, a large hatchback that did not find too many takers. The U-VA, also a hatchback, did much better but was nowhere near the likes of the Maruti Swift and the Tata Indica when it came to popularity and sales figures. The sedan version, the Aveo was also a very feeble performer, despite its good looks. The Beat, a hatchback, was introduced in 2010. Pitted directly against the likes of the Alto 800, it fared quite well. Its original version, the Daewoo Matiz, had already been on the Indian roads and was a huge success before it was redesigned and rebadged in this new avatar. A diesel variant was introduced in 2011 and the sales shot up. In 2012, the Spark was born out of the Beat and it turned out to be a winner. Designed well, this 995 cc petrol mill produced 62 BHP and drove well. Other models like the Sail UVA and the Sail sedan also were introduced across 2012 and 2013, besides the MPV called the Enjoy. Chevrolet Triax, Trailblazer and Spark 800 are other cars which might be launched by 2015. Chevrolet Beat Electric, Spin and Orlando are cars yet in the pipeline. The service network of the Chevrolet goes to show that these cars are here to stay for long.